When it comes to your wedding, a professional photographer is the key to capturing the beauty of one of the most important days of your life. Luckily, Maui is home to some of the most seasoned professionals in the business, and you can rest assured knowing they have the answers to all your questions and concerns. If you’re traveling all the way to Hawaii to celebrate your wedding in tropical island paradise, you’ll want someone on your side to document the scenery and happiness of the occasion, which you’ll be proud to look back on for the rest of your life! Those key elements of your wedding are exactly what classically trained photographer, Michael Andrews, voyeuristically captures at every moment. His talent and passion for detail and emotion translates into artfully intimate images that speak for themselves. Your wedding day marks the beginning of a new chapter in both of your lives, filled with many wonderful emotions and magical moments that you’ll share together. As you embark on this journey we will be there to capture these special moments with the beautiful island of Maui providing the ultimate backdrop. Unique Wedding Photograpy ~ Weddings ~ Portraits ~ Engagement ~ Maternity ~ Special Events.rincipal photographer Kimberlee Aihara of Aihara Visuals has been photographing weddings for nearly a decade in Hawaii. Using Hawaii’s natural light and inspired by the romance of a tropical island, Kim’s goal at your wedding is to document the love, raw emotion and unique details of the day without being intrusive. Wedding planning services for small or large events specializing in Maui Beach Weddings. No charge for initial consultation. Packages for all budgets. Use our services “a la carte” or to plan every important detail. We are just as excited about your wedding as you are! The helpful wedding planners at our sister company, Maui Beach Weddings and Events have all the insights, local knowledge, and flexibility to customize any of our photographic, video, or Maui Wedding Planning Packages to fit any sized budget. The entire process from your first email or phone call to the delivery of the pictures and video is an exciting adventure that we promise to make fun, creative, and affordable. Aloha from the beautiful island of Maui! Imagine a tropical place you have always dreamed of for your perfect wedding, where the ambiance is a blend of the beautiful beaches, gardens, volcanoes, waterfalls and romantic sunsets that satisfy every couple’s idea of a classic Maui wedding – a place where dreams do come true. Aloha! My name is Angela and I’m so glad you’re here. You’ll have to excuse me if I sound boastful, but I truly have the best job in the entire world. Being a Maui wedding photographer and Maui portrait photographer gives me the honor of documenting once-in-a-lifetime moments using Maui as a gorgeous backdrop. I’m passionate about using beautiful light, real emotions, and unscripted moments to document your love story–whether it’s a love story between you and your spouse or you with your family. Photography allows me to connect with people using gorgeous light, different angles and creative composition to capture moments filled with honest emotion and beauty. It is my first priority to provide my clients with beautiful images that they will cherish. I absolutely love photographing weddings and family portraits and it’s equally important to me that you have a good time and feel comfortable being photographed. Maui photography sessions offer an exquisite backdrop for any portrait. As one of only two female Certified Professional Photographers (CPP) in the state of Hawaii, I have the wonderful opportunity to capture people, places, and things at their best. I am blessed with the unique opportunity to be part of milestones in people’s lives – engagements, elopments, honeymoons, anniversaries, graduating seniors, and family portraits. Photography is a wonderful way for me to capture the key moment in client’s lives. Beach Portraits Maui has been specializing in family beach photography for years. Each of their photographers is a full-time professional with local knowledge of where to shoot and when. With experience shooting at every time of day on Maui’s West and South sides, they bring their expertise to each shoot so you know your photo session will go smoothly and leave you with amazing photos to cherish. Nicole’s experience is widespread and has blossomed as a Maui photographer. She has experience in weddings (in all settings), studio photography, celebrity parties and sports action; which includes extreme water sports. Many of her photos have appeared in newspapers, magazines, internet web sites and the Discovery Channel. Her passion for Maui Wedding Photography and Maui Family Portrait Photography shows in her photos. By capturing the most authentic moments of your wedding day, this husband and wife team combine to offer a shared passion for life, people and beauty. Florian and Aundrea are joyful and a total breeze to work with, and have a playful style that really captures the personalities of their subjects. You’ll be delighted with the outcome and be glad you chose this amazing duo. Bella has been photographing weddings, portraits and commercial photography on Maui for many years. She received a degree from Columbia University and went on to further study and teach photography in the San Francisco Bay Area. Her photographs have been shown in galleries throughout the United States. Branden Jon is an accomplished photographer who has been photographing weddings and family portraits in Hawaii for over 7 years. For almost a decade he has been lucky enough to call the beautiful Island of Maui his home, although his career as a wedding photographer did not start there. Before moving to Maui he spent six years shooting happy couples on their wedding day in the spectacular countryside of Yosemite National Park in California. With over 13 years of experience and his involvement in hundreds of weddings, Branden is a well seasoned professional, capable of capturing creative and memorable photos in any situation. Whether in a serenely, magnificent forest, a tropical, breathtaking beach in paradise, a quaint, romantic church, or a classy formal estate, his adaptation and versatile style will insure you end up having the best possible experience. I trained under two amazing Los Angeles & Orange County based wedding photographers, and have shot over 120 weddings in the past 5 years. Caitlin Cathey Photography was established in 2009 and is now my primary focus! I would describe my style as “vintage modern,” fun, and romantic. I love working with clients who share a love of photography and who are up for anything that might be new and/or different! We are Cameron and Deelia; a husband and wife team that specializes in the artistry of professional digital photography. Cameron covers traditional portraits and candids while Deelia focuses on photojournalism and design. Together we have covered hundreds of weddings in Hawaii and Southern California. I wish to photograph the radiance and beauty of the bride as well as the magic and excitement of the wedding. Working with my different styles of photography I look to capture candid moment as well as creating romantic memories between the bride & groom. I’m always aware of the importance of each special moment from when the bride puts on her dress, to the vows followed by the kiss, and finally the emotions of everyone in the wedding during the joyous celebration. Treasure and remember the most special day of your life with a wedding photo album that does justice to the wonder, magic, and excitement of your Maui wedding. Caprice Nicole, born and raised in Hawaii, has a very discriminating eye for the beautiful and poignant, and specializes in bringing out the details that make your Maui wedding so special and memorable. Capture Aloha Photography has a knack for snapping serendipitous shots that seize the beauty of the moment. It ought to come as no surprise, considering that its founders, Summer and Becky Whitton, have a serendipitous story of their own: They met and fell in love on the island. Making use of all the splendor Maui has to offer, they specialize in natural light, color, and off-camera flash, rendering their services perfect for sunset ceremonies. With over fifteen years of experience, their small team blends professionalism with a good time to ensure your nuptials are artfully—and enjoyably— documented. Your wedding day is a very special day. It should be a time to relax and savor one of the most precious days of your life. Whether on a romantic beach at sunset, a tropical rainforest with breathtaking waterfalls, at 40 feet deep on the ocean floor (yes, we can film underwater HD video and shoot underwater photography) or in a traditional church, we are committed to bring you an outstanding wedding service that you will cherish for a lifetime. From the wedding of your dreams to family photo shoots on the beach, it’s an honor to be invited into the people’s lives to take photographs. In addition to ensuring that traditional shots are elegantly captured, my specialty is snapping the candid and sweet moments that make your family or wedding uniquely meaningful. With years of experience in fashion and editorial photography, Chris transferred his technical expertise to the world of Maui wedding photography, capturing creative shots of a variety of couples, from those seeking dreamy, eye-catching photos to those looking for an edgy, stylish shoot. Your individual style is the priority, and his professional demeanor and years of experience will leave you feeling calm and confident. Being behind the lens of a camera makes us giggle with excitement. There is nothing more rewarding than sharing our passion of photography with everyone we meet. Our photography style offers slight direction for more of a journalistic approach with a touch of the classic, traditional portraiture. We call Maui our home and photograph events throughout Hawaii. We have had the honor of extending our services to California, Montana and Arizona. We will go anywhere! We are always looking for exciting new planks to challenge our creativity. We enjoy every minute of being on location and work with your energy to create a comfortable and fun atmosphere. Are you planning a wedding or an event, and are unsure of how to capture all those special moments and memories? Are you wondering what entertainment to offer or what party favors you can give your guests? Epic Entertainment Hawaii is here to help you. We know that you are savvy and want the best service and product; most of you are planning your once in a lifetime event, while others are planning a birthday, graduation, holiday party or corporate event. That is why we offer you the very best in Hawaii’s digital entertainment. We use nothing less than a High resolution DSLR camera and professional dye sub printers. This means that your photos will come out vibrant and beautiful, lasting for many more decades to come. Graham Chappell was born in Manchester England where he also went to Art school and graduated with a degree in Fine Art. He moved to Los Angeles after his education and developed a strong interest in Photography and began as a freelance assistant for many of Hollywood’s Professional Photographers in Fashion, advertising and celebrity portraits. With a enough knowledge and understanding of his craft and a strong demand from the world of advertising and fashion who encouraged Graham to create his own campaigns, Graham’s career in photography soon established a successful profession for himself. Photographing for national and International magazines, advertising agencies and design studios. Himani was born in Europe and has lived and worked as a photographer in Germany, Italy, India, California, Hawaii and Australia. Her passion is photographing “people”, as children, hula dancers, surfers, in fashion, at weddings, on holiday and at corporate meetings….. Her Hawaiian Art Photography has been widely published in form of calendars, greeting cards, a children’s book and various book covers. Scott & Teruko are the photographers of Hughes Photographics. Both long time Hawaii residents are professional photographers with extensive experience in covering weddings, events and creating portraits on Maui and Big Island. As part of your wedding day, we take seriously the challenge and the assignment, which is to create great images of your wedding, while the challenge is to provide a set of images which brings you both back to that day. Over and over. Whatever “it” is, Hula Girl Photography has it. It’s that eye for detail, innate aesthetic, and a photographic sixth sense. The results are images that bring out the best in every subject. More than scripted setups or generic shots, their images are a fresh and modern take on traditional wedding photography. My approach to wedding and portrait photography is relaxed and, most of all, fun for the participants. I blend the natural beauty of Maui with my technical lighting skills to enhance each image. I combine both a contemporary and candid style of photography to create memorable images of your wedding day or portrait session on Maui. Photography is my passion and Maui is the perfect place to pursue it. I currently am pursuing my passion of portrait photography and I love to photograph the arts in whatever form I encounter, I have a particular love for live theater and dance of which there is a wonderful abundance of on Maui. Natural light wedding and portrait photographer based in Maui, Hawaii. Available for travel. A multiple, award winning member of the Professional Photographers of America since 1994 and member of American Society of Photographers. With the combination of using natural light and utilizing creative lighting techniques, and with a keen sense of composition, Joanna honors the mood of each moment. Her photojournalist and editorial style allows her to create evocative wedding galleries, in which a succession of spontaneous images tells the story of the wedding. Careful not to intrude on the wedding ritual, Joanna becomes an almost invisible presence whose aperture opens to the heightened joy of the participants. (During her own outdoor wedding, she learned the importance of a sensitive photographer who can attune to the needs of the bride.) The elements of sea, sky and land renew and inspire her; As a photographer, she is especially drawn to the dramatic forms found at Makena Beach and in Iao Valley. Maui is a truly magical island for romance with many spectacular locations, both public and private, for your wedding or just an afternoon photo shoot. We can put together a comprehensive photography plan for your Maui wedding, including pre-wedding sessions and different locations. My goal is for all of us to enjoy the photography process so that you feel comfortable and relaxed – I want you to be able to savor every moment of your special day. I feel confident in the immense responsibility to give you professional photography with striking crispness and color. I look forward to providing you with beautiful images you will be proud to display! We believe that photographing a wedding is an art of balance between capturing the true moments in an unobtrusive fashion; and also creating a warm atmosphere that promotes you to feel comfortable in front of the lens. We feel this enables us to capture the true essence of a couple, while also creating an image that is timeless. John’s main clientele are Maui wedding couples. John has a unique style that he has honed with over 30 years of experience. Wedding photography by John consistently shows his superior knowledge of lighting, depth, intimacy and expression. His custom wedding albums are professionally crafted and are durable enough to be treasured for generations to come. From beach weddings to garden and tropical waterfall weddings, be it by helicopter, limo or horseback, John repeatedly shoots the best photographs, for the very best memories. 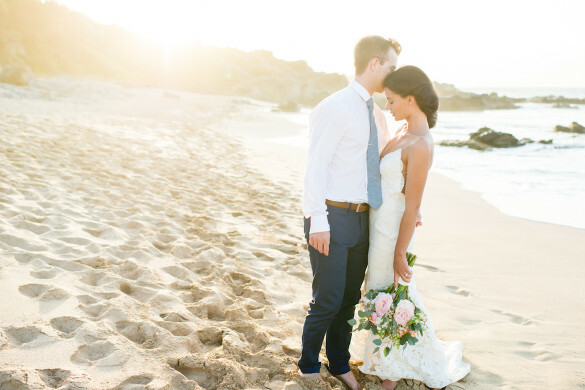 Your wedding in Hawaii will last a lifetime, your memories of that day should too. Maui is a fantasy backdrop for your dream wedding with breath-taking beauty, small town essence, and first class amenities. Over the years I have watched Maui’s photographer base expand from just a handful of close friends into todays Web page world. What has helped me maintain my success over all the years? First, the fact that I take fantastic pictures. My clients always comment that it’s hard to narrow down their selections and how pleased they are with the results. Second, I have great people handling skills, as I am friendly, open minded, and attentive to your needs. Finally, when all is said and done, you continue to receive my first class treatment throughout your order process. You are not only my clients, but you are now my friends. Our focus is on telling your story through images that capture your unique style. Listening to your expectations, hopes and dreams for your wedding images. I hope to provide you with a source of help and information about the artistic aspect of photography and how that directly relates to your wedding images. But, the most important aspect is how you participate in the your unique and special wedding day story. Our team of Maui wedding photographers has documented over 1000 events collectively, so we have the experience you want in your wedding photographer, along with a fresh modern style and fun personalities! Our goal is to blend seamlessly into your wedding day while capturing AMAZING images for you to look back on for the rest of your life. Congratulations on your engagement and thanks for taking the time to view my work. Being a Maui Wedding Photographer is more than a job, I love what I do and hopefully that comes across in the images you see here. This is your biggest day, the last thing I want is for you to think back and remember it as a photo shoot. The more in love and in the moment you are, the better I can do my job. I see a wedding as the collection of details, people, and moments that tell the larger story. In the end, telling that story is my goal. So that you, your family, guests, and anyone who might not have been able to attend, will be able to relive the day for a lifetime. But above all, you should enjoy the day,it should be FUN! Photographing weddings is my passion and has been my life’s work for the past 25 years. Weddings are universal yet are so personal and unique to each couple. I really enjoy discovering each couple’s personality and show in pictures what words cannot express. Weddings are full of surprises that exist for only a moment in time. These are the cherished moments that I capture on your wedding day. I enjoy capturing the humor, joy, tears, and excitement of a bride & groom’s unique wedding day. I love to work with people who are as passionate about photography as i am but most importantly, are down to have fun! I take very seriously my responsibility as your photographer because your wedding photographs carry with them the memories of the most important day of your life. Llevellyn Lightsey has been a photography enthusiast as long as he can remember. Starting with Brownies and Instamatics, he has followed the evolution of the art and today uses Canon Professional Digital equipment and continues the study of photography through seminars and classes. Llevellyn decided to pursue his passion for photography professionally after moving to Maui over a decade ago. He enjoys capturing the beauty that is Maui as well as other places around the globe. Using a variety of techniques, his photographs are sometimes highly reflective of reality and other times appear almost as paintings. Color, light and unexpected perspectives appeal to the viewer. Maui Hawaii Photographer. At LIZADA Photography specialize in wedding and portrait. Ceasar Lizada blends both journalistic style and traditional photography. Of the beach, of the ocean, and of each other. Our goal in business was always to one day work together so we could spend as much time as possible in the company of one another and have the freedom to explore when we weren’t pursuing photography. Adam began photographing empty waves and surfers years ago and has been drawn to the ocean his entire life. I started photographing weddings in 2011 and found joy in documenting the interaction between family and couples. In Australia we operated two separate businesses, Sunshine SurfSafari and Sabra Creative. Adam had already been helping me out shooting weddings for quite a while, so just before moving to Maui, we decided to further simplify our lives by combining our businesses and forming Love and Water Photography. I’m a dreamer and a wanderer. I am madly in love with love itself. Love between humans is awe inspiring, whether it’s a couple in love or a mom and her children – I love that connection! Being a Maui photographer is the best job in the world. I feel so honored to have been doing this professionally since 2002. Jen has a big heart full of love to give to each and every person in her life. She is very fun & outgoing person with a lot of happy energy. Clients often comment how they love how fast Jen connects with them and how they feel at ease. Jen treats them like they are family. As the coordinator of your Maui Wedding, Jen sets up everything very smoothly and effortlessly on your end. Frank specializes in Maui wedding photography, family portraits and fine art. His goal is to capture the true essence of your special event by creating a detailed story in images to to treasure for years to come. Located on beautiful Hawaiian island Maui. Maui Wedding Adventures offer an array of photography packages and sessions with their team of professional local photographers, who not only work with you to document your personal vision and style, but utilize their local knowledge to make the most of Maui’s breathtaking landscapes. Guests receive edited professional photos in a digital, easy-to-share format, perfect for sharing with friends and family back home. Melia Lucida has the skill and eye developed over a decade shooting hundreds of weddings across cultures and the world! Her style is a mix of fine art portraiture and photojournalism, utilizing Maui’s incredible and dramatic light to create authentic and flattering photos of your wedding party. You’re not going to find too many professionals on Maui with 20 years of experience in wedding photography. I’m lucky to be right in that sweet spot of having the vision and technical ability to see the potential of combining flattering portraits with Maui’s beautiful outdoor environments and the energy and zeal to pull them off! I’m very comfortable working with any and all types of families and friends and know how to keep the photos moving with the right mix of polite assertiveness and friendly enthusiasm. Monique Feil is an award winning photographer with passion for seeing the beauty in each person. Her love of capturing the special and sacred moments is apparent in her work. Monique specializes in destination weddings in Hawaii and California. We believe in the tension between fantasy and reality, that Love is stronger than anything else, and that everyone has a story to tell. We believe that the ultimate in luxury is hand-made and heart-felt. We believe in quality, artistry, kindness, and in treating each other and our home with care and respect. Whether working on a large project for a designer or hiking into the wilderness to photograph an elopement, we strive to create and preserve moments of beauty and truth that will stand the test of time. I like to take in the whole scene when I capture an event. The details, the grand landscape, the candid and the naturally posed are all important to me. One of the most important things that I pay attention to is the light. Maui has gorgeous light. I shoot with off and on camera flash, and I like to switch to natural light too. I shoot with the best Canon equipment and I know Photoshop and Lightroom very well, so anything is possible. Ultimately, the images are about you and the good times you want to remember. I can’t wait to learn more about you! Pacific Dream Photography is a preferred photography service available at some of the top hotels in the country. As a company, we aim to capture our clients’ special occasions with artfulness and style. Whether it’s a family vacation in California or a honeymoon in Hawaii, our team can provide you with a unique photography experience and send you home with the perfect souvenir of your trip. Picture this… bare feet on sand the texture of ground sugar, the fragrance of tropical flowers borne on gentle trade winds caress your skin, as the Maui sun bids Aloha to another day in paradise. It is, quite simply, the perfect place to celebrate your wedding vows. And A Paradise Dream Wedding is the perfect choice to make your dream, an unforgettable reality. Something that is on everyone’s mind is how to capture a lasting record of every romance-filled moment. As members of the Professional Photographers of America, our exclusive wedding photographers at Paradise Dream bring extensive experience and skill tailored to Maui’s unique lighting and weather to every event. Browsing our website, you will find helpful advice on how to make the most of your wedding adventure in paradise. When selecting a Maui wedding photographer you are selecting more than just a photographer for your wedding day. You are hiring a wedding photographer that will be with you, your family and your group all day on your wedding day. Personality is a huge part of the selection process and should not be overlooked or discounted in any way. PhotoHawaii is dedicated to capturing the tender and fleeting moments of your once-in-a-lifetime celebration in compelling, timeless, images that you will treasure forever. Award-winning photographers Chris Douglass and Peter Thompson use dramatic lighting techniques, artful composition and professional editing skills to tell your unique story filled with emotional moments from start to finish. By taking the time to get to know you before the big day, Chris and Peter will be sure to capture all the moments that are truly special to you and incorporate the details of your personal story – from the special earrings your grandmother gave you to the guests who came halfway around the world to be with you. Contemporary wedding images that combine Portrait Journalism style with fine art techniques. My goal is to blend into what is naturally occurring and create a documentation of images that are beautiful and meaningful. From a personal stand point, that is what makes a photograph memorable, and what ultimately reveals the beauty and uniqueness of an individual. I am thrilled that the art of Photography allows me to explore my creativity while documenting special moments happening in people’s lives. At Reflections Photography, we love to assist our clients with finding the perfect medium to immortalize, re-live, and share their once-in-a-lifetime experiences. Richard loves shooting weddings and prides himself in building warm and friendly relationships with clients. This creates a genuine rapport that allows him to capture moments in weddings with great artistry, joy, and sensitivity. Robin has been working exclusively as a Professional Photographer in Kailua-Kona Hawaii for over 22 years and has owned and operated two portrait studios for many years. Specializing in capturing people… Your event will be filled with memories that will be cherished forever. Robin has been shooting weddings and portraits on Maui for well over a decade, and worked as a professional news photographer on the mainland before that. Her keen sense of observation and laid-back style make for beautiful, natural photos. Maui wedding photographer are one such indispensable asset in the wedding day, one that counts almost the same value as the wedding ring, or perhaps the vows themselves. Launched by Lubomir Petrovic, this Maui wedding photographer has but one vow: to provide their clients with quality photographs that carry the signature mark of quality and professionals, all by the integration of skill and passion. 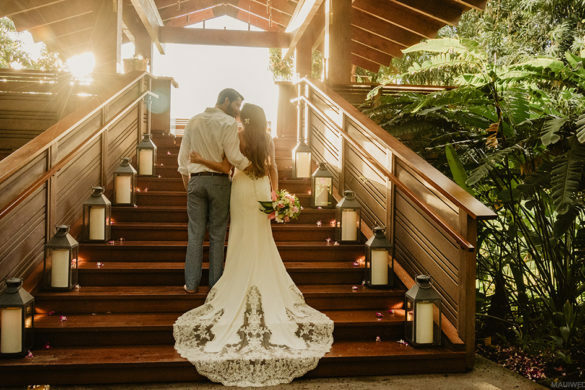 Lubomir Petrovic launched Maui wedding photographers with the conviction that weddings lacked something crucial to make them complete – the services of quality Maui photographers that would turn up at the time of dire need and just do the job as it requires. We love photographing weddings because of the energy of the occasion. We beleive that every couple and wedding is unique. We strive to make your day as memorable as it can be. Together we bring fun, creativity and professionalism to your wedding day. We truly enjoy working with couples and getting your dream day captured with lasting memories. Award winning photographer Sasha Prince was born and raised in Hawaii, where she developed a love for art and culture at an early age. After attending art/photography school on the mainland, she returned to Maui where she has found her niche in wedding photography, portraiture, and album design. Sasha’s deep appreciation for fine art photography and portraiture are evident in her wedding photography where her focus is capturing the intimacy between couples. Sasha’s spirit and creativity resonate in her photography, lending an artistic touch to the way she captures the joy and tenderness of any couple’s special day. Sean specializes in wedding photography here on Maui and abroad. He has more than 17 years professional photography experience in more than 25 countries worldwide. In the last 17 years, Sean and his team have had the pleasure of providing photography and video services for more than 2000 weddings. Shane Tegarden’s fascination with photography began at an early age. His 23 year-plus experience as a Maui photographer gives him the ability to capture those unique moments that may otherwise go unnoticed. His professional manner and hardworking dedication combine to make him one of Maui’s most sought after Family Portrait Photographers, Commercial Aerial Photographers and Fine Art Photographers. I have been a Maui wedding photographer and Maui portrait photographer on Maui for just over 20 years. Being involved with both the Maui Professional Photographers and Hawaii Professional Photographers Associations, we have had some of the best talent in Hawaii and the mainland come to Maui and teach at seminars on lighting, posing and learning new techniques in Photoshop. My professional experience and training help ensure that your valuable wedding or portraits will be images that you treasure for a lifetime. Known for his beautifully vivid photography, his genuine and personal customer service and his positive inspiring personality, Tad Craig is your choice for your Maui wedding or family memories. Fueled by talent and passion, you’ll have comfort in knowing that his 15 Years as a Pro Photographer, you will be in good hands capturing your most special moments. Available for travel to all the Hawaiian Islands & beyond! Call us and let’s discuss details for your fairy tale wedding in paradise. Your wedding is one of the most exciting times of your life. That’s why I’m always looking for that certain moment that tells the story in a single shot. I will take my time and capture every moment of your wedding day as it unfolds. I use a technique that is part photojournalism, part portrait photography, and part candid photography. My style is spontaneous and fun. Hawaii and Life in full living color! Bringing you the colors that Maui and the Islands of aloha have to share. That’s why you come here. LIFE IN FULL VIVID COLOR! Photography is about the moment, the emotion, a special occasion when a great photo brings you right back to that experience. Having a great photo experience is what we do for you. We like to have fun! We want you to have fun ! We always want you to walk away with ” that was so much fun ” feeling. You hire us for our experience, which brings you the wonderful images you dream about. Ugly Duck Photo Booths is dedicated to delivering a one-of-a-kind experience at your event. Once our booth is set up you’ll see the line starting to form as guests prepare to dress up and have their picture taken – because sometimes a selfie just isn’t good enough. Bruce Forrester was once named as one of the top wedding photographers in the country by Town & Country magazine. Bruce and Susan Forrester have a special love for wedding photography. They consider it an honor to be part of someone’s special day. Their goal is to create a personal work of art that will become the couple’s most treasured possession. I will make your Maui wedding photos precious and unique. What I love the most about my work is that I get to photograph and be part of some of the most precious moments of peoples lives in one of the most beautiful places in the world. My passion is to capture the spontaneous magic that happens in front of the lens. I look forward to hearing from you and I will be honored to photograph your magic!